How much is a tortoise? Costs start from about £40 and could go over a £1000 for certain breeds. The prices of tortoises vary tremendously depending on breed, age and where you buy. Age: Older tortoises tend to be more expensive. You can buy a baby tortoise for an average of £50. And old tortoise could cost hundreds to thousands of pounds depending on the breed. Breed: The average price of a Hermann’s tortoise is £150, while an Indian star tortoise costs £350 and could easily jump up to £1000 if older. Where you buy your tortoise: You can buy from a breeder, retailer or a private seller looking to find a new home for their pet tortoise. Many private sellers also offer to sell tortoise kit items along with the pet, which could help reduce the costs of your tortoise setup. Hermann’s tortoise – The cheapest Hermann’s tortoise we found at the time of writing this article was a few months old going for £75. The most expensive one was a 16-year-old tortoise and its price was £400. Both available directly from a breeder. Horsefield tortoise – Also known as Russian tortoise. Prices vary from £35 to £250. Leopard tortoise – prices vary from £75 up to £250. Spur Thighed tortoise – prices vary from £45 to about £250. The most expensive Spur Thighed tortoise we found cost £250 and was 16 years old. Indian Star tortoise – Baby Indian Star tortoises start from £180. Older ones cost about £1000. This breed is slightly more expensive. Sulcata tortoise- prices are around £149. Skip to: How much is a tortoise? | What things do I need for a tortoise? | How much is a tortoise table?| How much is tortoise substrate | Price of basking lamps for tortoises | How much is a thermostat? | How much does tortoise food cost? | How much electricity does a tortoise use? | How much does a tortoise vet cost? 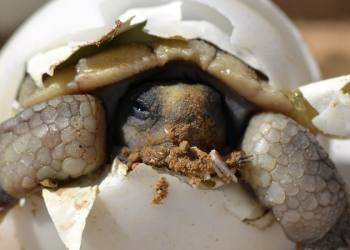 | How much does tortoise insurance cost? | How much does it cost to microchip a tortoise? What kit do I need for a tortoise? Despite their robust shell and impressive life expectancy, tortoises are delicate creatures who require a substantial amount of care under very specific conditions. To learn more, read breeder Suzi’s comprehensive guide on tortoise nuture. You may like this: What set up do I need for my tortoise? Having an extensive tortoise kit is essential for your tort’s well-being. Read on to find out how much tortoise kit items cost. How much does a tortoise table cost? A tortoise table of 3ft by 2.8ft and 17 inches deep, including a stand, from Northampton Reptile Centre costs £129.73. Tortoise tables cost from £40 to a little over £100 depending on size. If your tortoise is still a baby and you can make do with a smaller table, you’re looking at £35 to £70. Tortoise breeder Suzi Newsome advises that the perfect size is 4ft by 2ft and about 10 to 12 inches deep. How much does a tortoise run cost? 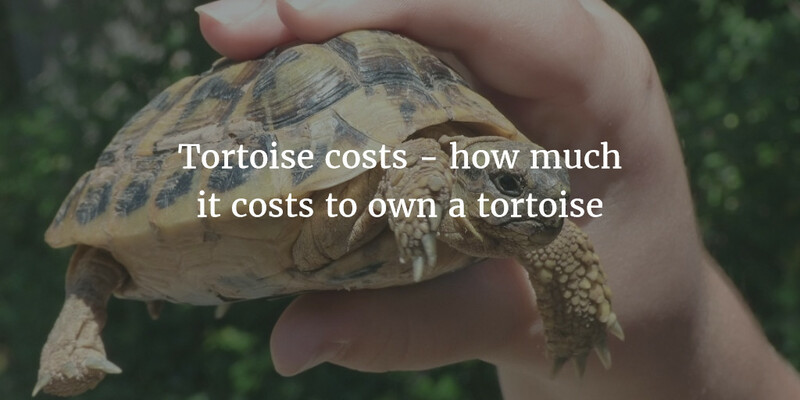 The cheapest tortoise runs cost around £50 and the most expensive ones can be over £200. A tortoise run is an enclosure that can provide your tortoise with the opportunity to safely wander about outdoors and get some exercise. How much does tortoise substrate cost? You can buy a 10-litre bag of sterilised topsoil for about £7. Depending on how big your table is and how frequently you change the substrate, a bag of 10 litres can last you from 3 to 6 months. Sterilised top soil is the best substrate for your tortoise. It does not contain any pesticides, organic matter or impurities, which means your tortoise will be kept safe from accidently digesting harmful particulates from the soul. How much does a heat basking lamp for tortoises cost? Tortoises are cold blooded reptiles so you’ll have to ensure the habitat of your tortoise is kept warm. A basking lamp can cost between £10 to £35 depending on its type. A clip lamp costs £10. A basking lamp that resembles a desk lamp can cost up to £35. A 75watt basking lamp lightbulb costs £4.99 from Petcare 24/7. If your table has a fitted lamp fixture with the necessary electrical wiring you can simply get a light bulb. Breeder Suzi Newsome recommends a halogen floodlight with a wattage of 120 to 150. How much does a tortoise UVB lamp cost? A 12% T5 UBV lamp with a reflector from Arcadia costs £79. You can purchase a UVB lamp from Northampton Reptile Centre. A UVB lamp is essential as it will stimulate the metabolism of calcium and vitamin D3, both vital for the health of your tortoise’s bones and shell. A UVB lamp needs to be equipped with a reflector to evenly distribute the light. How much is a UVB lamp reflector? UVB lamp reflector from Arcadia costs from £10 to £15. You might be able to save some money if you buy your UVB lamp and reflector as a kit. If, however, you wish to buy a reflector separately, you can do so. A dimming thermostat costs from £50 to £80. 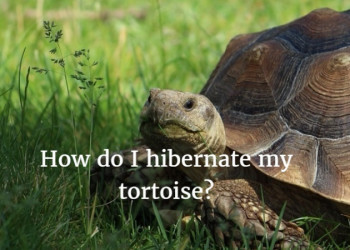 Because of all the heating devices your tortoise will need, you’ll have to equip its habitat with a thermostat. Making sure your tortoise’s dwelling is at the right temperature is essential to its well-being. Your tortoise will be best off with a dimming thermostat. A dimming thermostat provides a smooth temperature control and can be set to a minimum temperature to ensure your tortoise’s habitat is never too cold. The basking lamp plugs into the thermostat. How much does a ceramic heat emitter cost? A 250watt ceramic heat emitter from Exo Terra costs about £30 from Northampton Reptile Centre. A ceramic heat emitter is ideal for maintaining an ambient temperature at night as it does not give off light. How much does a pulse thermostat cost? A HabiStat Reptile Pulse Proportional Thermostat from Amazon costs £39.99. Pulse thermostat prices vary between £40 to over £60. A pulse thermostat is essential as it regulates the temperature of the ceramic heat emitter, which can get scalding hot. Alternatively, you can buy a 2 in 1 dimming/pulse thermostat for £58.39 from Northampton Reptile Centre. 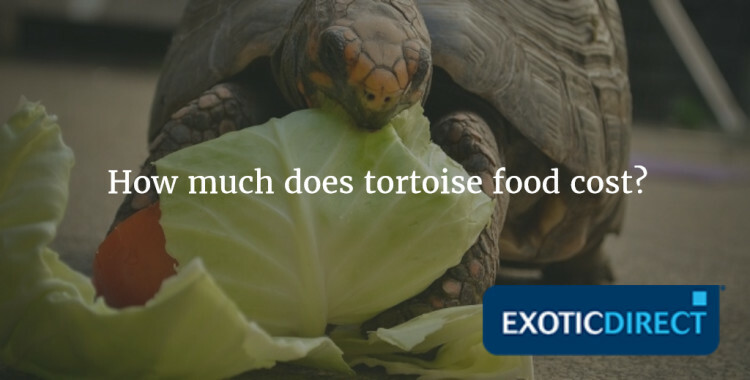 How much does tortoise food cost? A month’s supply of tortoise food costs around $20 (£15.44 on 05/09/'17), according to a tortoise owner on reddit. Tortoises feed mainly on leaves. You can grow their food yourself if you have a garden or you can buy from a specialised shop. Be careful not to buy plants that were treated with pesticides and could harm your tort. 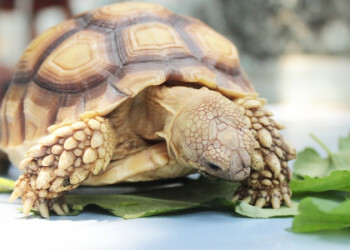 Learn more about the specifics of tortoises’ dietary requirements. How much electricity does a tortoise use? The average monthly electrical cost of owning a tortoise is £10. The overall balance will vary depending on the number of tortoises you own and the number of heating lamps you use and their strength. How much do tortoise vet fees cost? Exotic Direct paid a monthly average of £287 in vet fee claims in 2016. In 2016 Exotic Direct paid out £294 for the vet fees of a Spur Thighed tortoise suffering from Anorexia. Treating a Leopard tortoise suffering from Mycoplasma Pneumonia in 2016 cost £633. In 2016, Exotic Direct paid out £405 for the vet fees of a Horsefield tortoise suffering with pink urine. In 2016, Exotic Direct paid out £600 for vet veets for Hermann tortoise Hermoine who suffered with severe digestion problems. Estimating the amount of tortoise vet fees might be tricky but one thing to keep in mind is that not many vets specialise in exotic pets, which means that there’s a good chance that the ones that do would charge more for treating an exotic pet than for treating a cat or a dog. A tortoise being treated for a dog bite in London in 2011 cost £300 in total. Beak trim plus a routine check-up for a tortoise in Stourbridge in 2011 cost £14. Chipping the same tortoise in 2011 cost £17.50. As with the examples above, vet fees for exotic animals can quickly escalate. To give yourself the peace of mind that your tort is going to be well taken care of if ill or injured, you might want to consider buying tortoise pet insurance. Find out more about the benefits of pet insurance here. Can you get pet insurance for your tortoise and how much does it cost? Yes you can, with ExoticDirect. The monthly premiums for a £200 tortoise on our Basic policy costs around £4 a month over 10 months. Find out more about our tortoise pet insurance. Alternatively, get a quote for tortoise pet insurance. You can also check out our claims review section to hear from ExoticDirect customers. If you are looking to insure non-exotic pets check out our sister company Bought By Many’s unique pet insurance policies. How much does it cost to microchip a tortoise? The Barrier Animal Care Clinic in South East London quoted a price of £40. Vet surgery CJ Halls in South West London quoted a price of £35. A microchip would allow you to identify your tortoise if it is ever lost or stolen. It is inserted in the hind leg. The procedure normally takes about 15 minutes. We phoned a couple of vet surgeries in London that see exotic pets to find out how much microchipping a tortoise costs. Insure your tortoise for £2,500 of vet fees, death and theft. Vet fee cover only also available.